Responsible for directing the re-positioning, rebranding and marketing of the company, increasing profitable turnover by over 50% to £18m in the space of only ten months. Business partners Cisco and Hitachi both delivered unsolicited testimonials stating that ABSNet ‘now’ has the best marketing and demand generation engine in the country. We successfully achieved ABSNet’s shareholders’ objective of divestment – to Capita for £ 13.6m – in under two years! 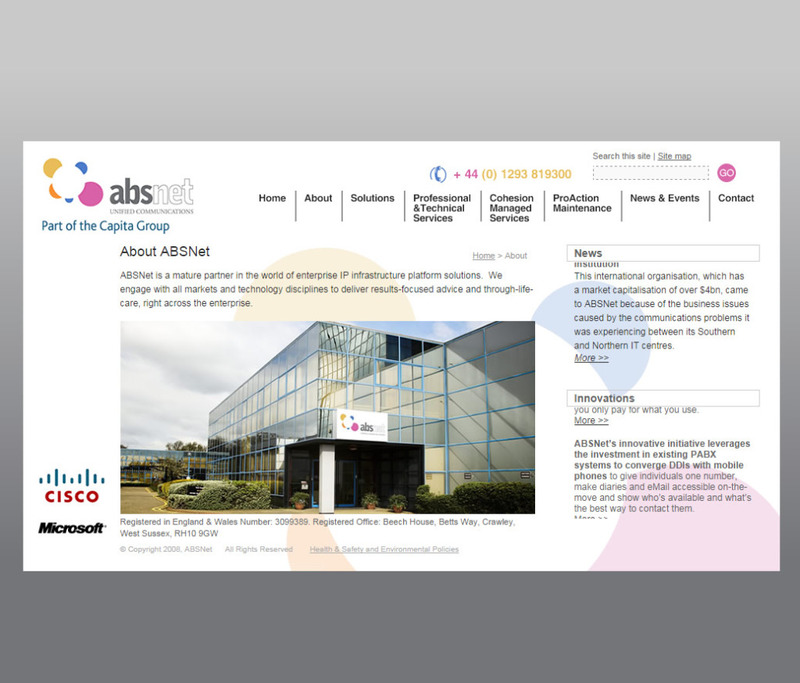 ABS’s 3-2-1 Blast Off marketing campaign funded via the Cisco Joint Marketing Fund is one of the most complete, integrated campaigns I have seen to date in my nine years at Cisco. The program, which consists of many of the elements from the marketing mix including a full reporting mechanism, is already proving to drive incremental business for both parties involved.